The AiRun-Z boasts a self-cooling 2.5 horsepower continuous duty motor providing smooth motion and more than enough power for intensive and enjoyable training sessions. 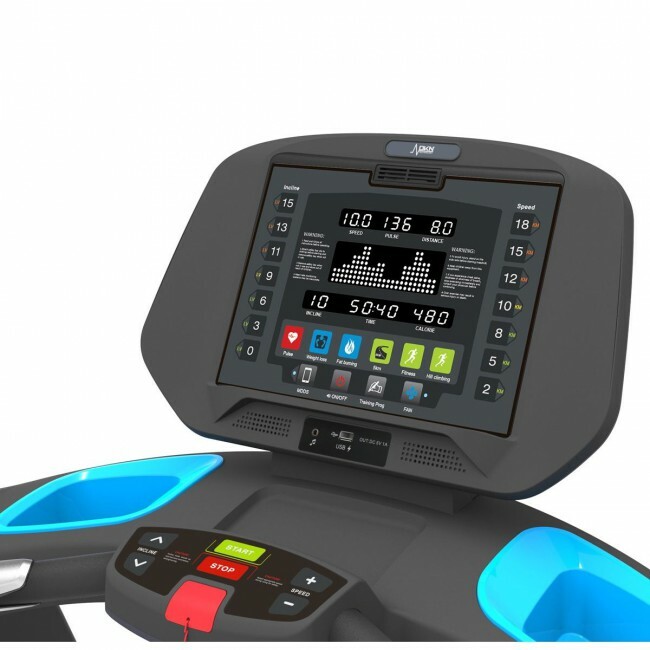 This sturdy piece of equipment lets you push yourself a little bit harder every time with a speed range of 1-18kph (0.6-11.2mph) and has 20 levels of electronically controlled incline to help you engage in leg-burning incline workouts. 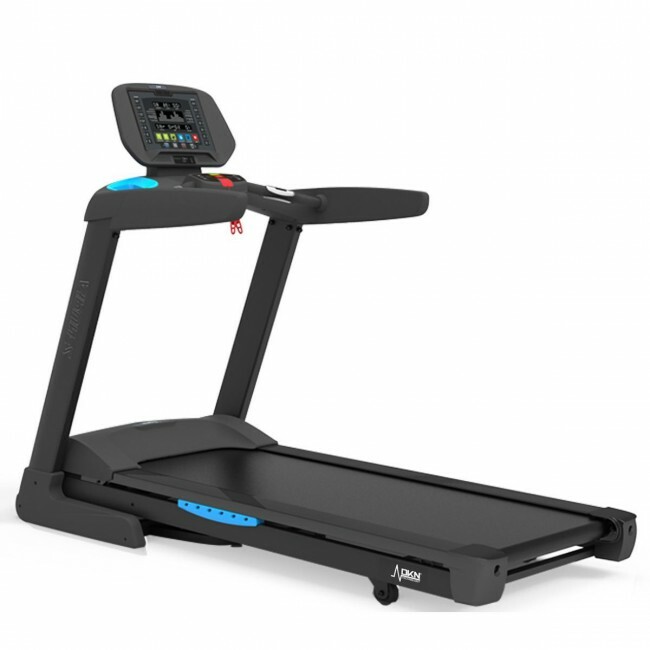 To ensure a perfect balance between shock absorption and ground surface, there is a 2mm orthopaedic belt and the treadmill features an oversized running area of 52cm (20.5’’) x 148cm (58.3’’). 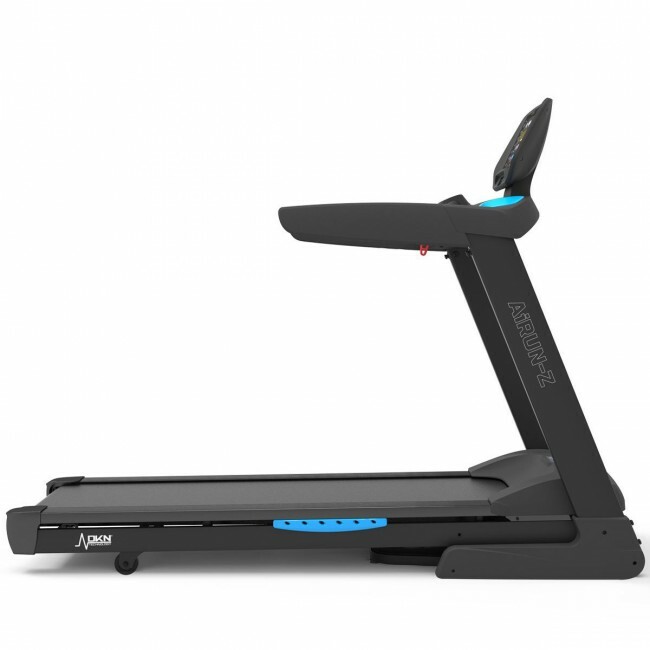 Thanks to Progressive Shock Absorption system, the machine is easy on your joints and absorbs over 40% of the running impact, whereas 3 user profiles with gender, age, weight and height guarantee a more personalised feedback. 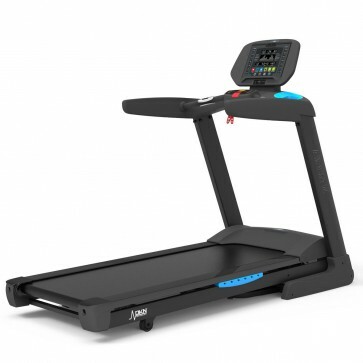 The AiRun-Z is fitted with an easy-to-read LED display enabling you to keep track of your progress and offers 18 programmes delivering challenge and variety. Compatible with Kinomap and iConsole+ fitness apps, the machine gives you access to countless interactive training options. Plus, to make your sessions more entertaining and allow for multi-tasking, there is a tablet holder, an audio port for your iPod or mp3 player and stereo speakers.